Magna-Tiles® encourage imaginative free play and storytelling! Anything your children can dream, they can build. Can you believe it’s already October? Before you know it, you’ll be shopping the Black Friday deals in prep for the holidays! When you browse the aisle at your local toy shop, you may come across several options for building sets and you may wonder what makes them all different. Magna-Tiles® are the original magnetic building set. While some other tiles might look like ours, Magna-Tiles® are unmistakable once you feel their sleek texture, see their vibrant colors and feel the strength of their “click”. 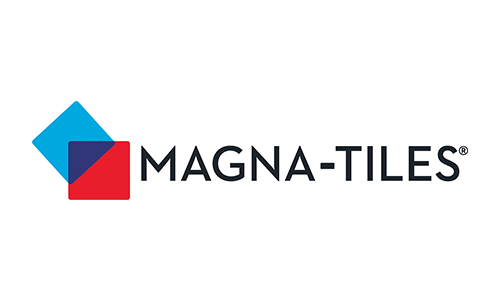 Magna-Tiles® are durable and built to last for years. Your children will have them long after their other toys have been discarded. That’s why parents love them! Magna-Tiles® fuse math, science and creativity. Children will develop spatial and tactile skills as well as math and science skills as they stack, sort, count and “click” together their creations. They’re a great STEM toy and often used in the classroom! Magna-Tiles® encourage imaginative free play and storytelling! Anything your children can dream, they can build with Magna-Tiles®. It will also keep their minds engaged in active free play and decrease time on mobile devices and other screens. Children (and adults) of all ages love Magna-Tiles®! They captivate your mind and inspire imaginative free play no matter how old you are. The high-quality magnets used in Magna-Tiles® are safely secured inside each tile. Magna-Tiles® exceed all applicable safety standards. Magna-Tiles® are sold in several sets ranging in various colors, shapes, sizes and themes. We recently launched five new Magna-Tiles® sets and the brand-new 3D magnetic building shapes, Magna-Qubix®. All Magna-Tiles® sets are compatible so children can expand their creations and build anything they can dream! Be sure to share your magnetic creations on social media using #magnatiles and #magnaqubix for a chance to be featured! “Click” here to shop the Magna-Tiles® collection!